Today’s organizations are awash in security solutions and vendors—recent studies say most companies have an average of 40 vendors and 80 different management consoles. But sadly, instead of providing better protection, most are getting diminished results and failing to keep up with the increasing number or attacks, breaches and other security issues. Softchoice wanted its key prospects to know that “less is more”—that they could gain more control and improve overall security results by minimizing your security technology footprint. So we created this fun, 3-D direct mailer that included a giveaway item to cut through the clutter and catch the attention of busy IT directors and execs. 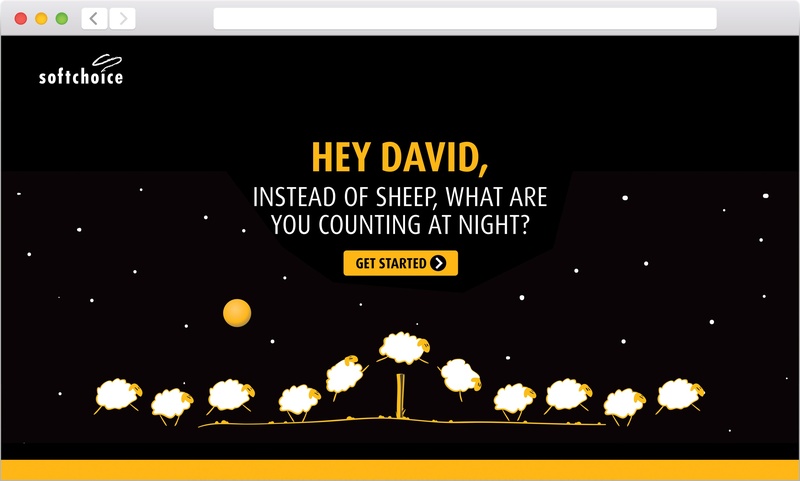 Targeted prospects were also sent emails alerting them that a package was heading their way. 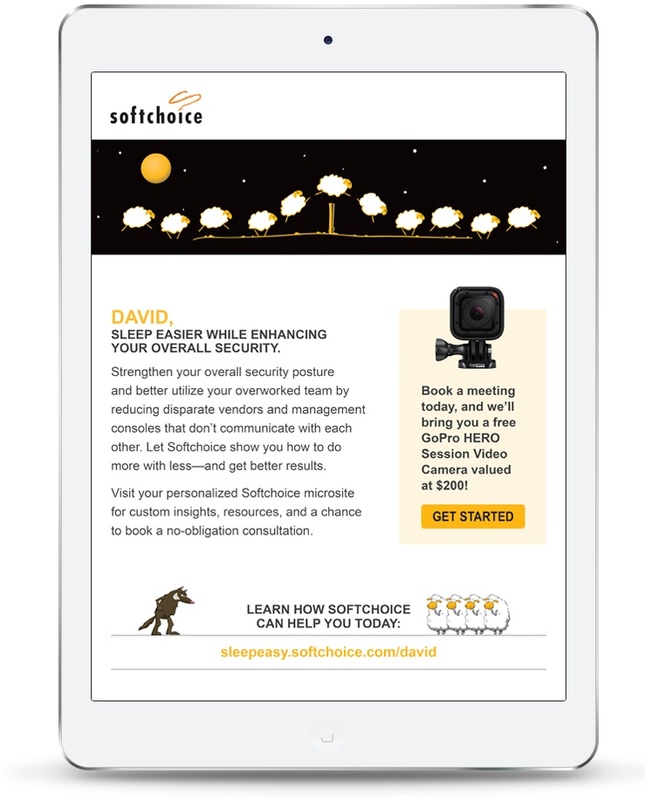 Subsequent emails helped to reinforce the key messages of the campaign and included an offer for a free GoPro camera if they booked a meeting with Softchoice. 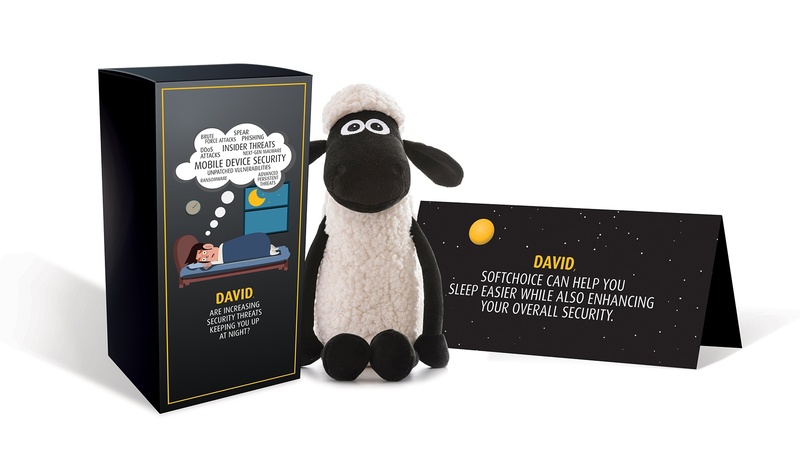 Both the direct mailer and emails drove recipients to a personalized digital destination where they could learn more about Softchoice’s security offerings and choose from three content tracks to find the one that best aligned to their current challenge. By selecting a specific track, they could download unique content, and, if interested, also book a meeting with Softchoice. View the digital experience.